Serafina is living the normal life of a village girl when she gets a mysterious letter from a great-aunt she's never heard of. Little does she know, her great-aunt is actually Baba Yaga, the witch. Summoned to her great-aunt's magical cottage, Serafina's life takes an amazing turn as she finds herself acquiring the powers of Baba Yaga. 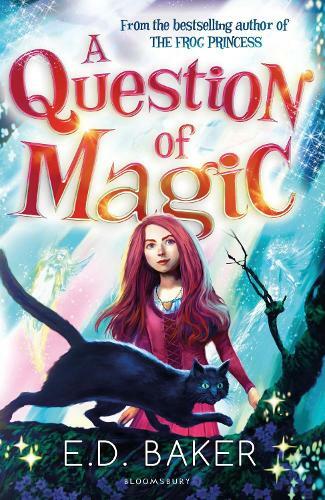 But as she grows into her new role, answering the first question any stranger might ask her with the truth, she learns that telling the future doesn't always mean knowing the right answers! In her own unique way, bestselling author E.D. Baker has crafted a funny and romantic story that combines some fabulous details from the original Slavic tale, with a wonderful new twist!